Last week, NetGalley joined 230 other attendees from 90 companies in Nashville to attend ECPA PubU. 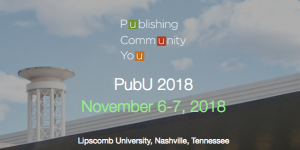 It’s a chance for members of the Evangelical Christian Publishers Association to learn from one another, to think creatively about how to market their titles, and to brainstorm ways to expand their audiences. Many publishers and authors who use NetGalley are also members of the ECPA, so we at NetGalley Insights were grateful for the opportunity to hear more about the attendees’ unique needs, goals, and challenges. Over and over, we heard attendees talking about how publishers and authors can put their readers first: By making it easier for readers to find the books they are looking for in a keyword search, by being experimental and responsive with the implementation of new platforms, by curating content for them in an overstuffed marketplace, and by making sure that marketing emails provide information of real interest and value. During his talk about metadata, Firebrand Director of Sales & Marketing Joshua Tallent made the case that marketing and data departments should be working together much more closely. He suggested not only that there should be cross-training, but that in an ideal world, these departments would share staff. Metadata is fundamentally a marketing tool, helping with algorithmic discovery. As you might expect, titles with basic metadata (author, title, ISBN) have 75% higher sales than titles without that information. It only stands to reason that data and marketing should be more closely linked at an institutional level. For example, data teams can use keywords to see how audiences are searching for your books and then marketing departments can include that in their copy and as keywords in the metadata feeds that they are sending out to retailers. This way, data insights are made actionable during a book’s lifecycle. Publishers across the industry know that they need to incorporate data into their decision-making process, and creating better cross-departmental collaboration is a great place to start. When the Rabbit Room began in 2007, it was a blog for Christian writers, pastors, musicians, and fans to gather together. Now, in 2018 it is a conference, a publishing house, a live music series, and a podcasting network. In his talk, “Building a Community of Readers,” Pete Peterson, Executive Director of the Rabbit Room and Managing Editor of Rabbit Room Press, described how Rabbit Room experimented with different ways to connect with their community as it grew and changed. One of those ways was podcasting. At first, they just had The Rabbit Room Podcast, but realized that they were better served by hosting multiple podcasts that could better target the specific interests of their community. They are currently in the process of building the Rabbit Room podcast network with multiple programs geared towards specific interests. This lesson reminded us that when publishers and authors are finding new ways to engage their audience, it’s ok to experiment and pivot to best suit your needs. In her opening remarks about the future of faith and the future of retail, NPD’s Kristen McLean suggested that the future of retail is a mix of high-touch and convenience. Brands (including publishers and retailers) will have to be both personable and easily accessible if they are going to succeed. Several panelists during the conference described their successes with curation as a strategy for becoming high-touch, but without coming across as overtly sales-y. Stacy Kennedy of Red Bird Social noted the success of Patsy Clairmont’s Patsy Box as a way to connect authentically with fans. David Barker of Readerlink highlighted how Amazon is getting into the curation game as well. Amazon is now offering a podcast full of personalized picks from the Amazon staff, to put a warm human face behind the convenience and the algorithm. 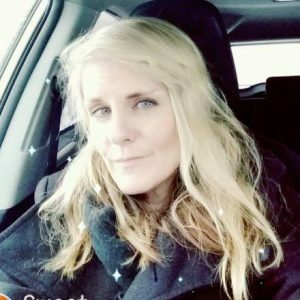 Curation is something that can be implemented at an author level (what would your protagonist put on a Spotify playlist?) or at a company level (here’s what our team is reading). Authors need to get the word out about their titles around pub date, but it isn’t effective to just blast out “pre-order/buy my book” emails or social posts. Instead, authors should create content that’s related to their book or to the writing process to build excitement. This should all be done in order to provide something of real value to the audience. For example, author of the Left Behind series Jerry Jenkins described the Facebook group he runs for aspiring writers. He is able to connect authentically with an audience by providing value in the form of writing advice. Then, when he has a book coming out, he has an audience that’s actively engaged with him both as a person and as a writer. He also noted that, as a writer, he’s not inclined towards self-promotion, but this writing group on Facebook feels authentic rather than gimmicky. Additionally, outside of the ECPA ecosystem, Ling Ma did a terrific job with this strategy by writing about crying at work for Buzzfeed News before her novel Severance pubbed. NetGalley is proud to partner with and support the ECPA and its members. Reach out at insights@netgalley.com for more information about how we work with ECPA publishers. Don’t forget to subscribe to NetGalley Insights to stay up to date with industry news and conference coverage. The Internet is a social place. It’s where readers find their next book, where authors stay connected to readers, where publishers keep abreast of new voices, and industry newbies hunt for their first jobs in the field. “How to use…if you’re…” breaks down best practices for literary social corners of the Internet for different players in the publishing industry. At BookExpo, we sat in on the panel discussion “Industry Disruption and the Future of Finding Rising Stars.” During that panel, Lindsay Summers, Wattpad star, discussed how she used Wattpad first as a way to read new stories, then a creative outlet for her own storytelling, and eventually as a vehicle for a book deal. So, today we’ll be looking at how independent authors can use Wattpad to sharpen their own storytelling skills, connect with other authors, and grow a community of dedicated readers. 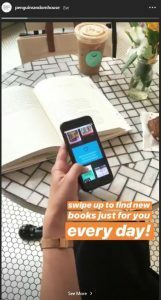 Wattpad is a great place for authors to experiment with serial storytelling, and to connect with passionate readers from all over the world. Authors can use it to hone their voice, get immediate feedback from readers, and expand their audience. Wattpad is a socially engaged and enthusiastic community of writers and readers. With a global community of 70 million members, and over 565 million story uploads, the platform is a vibrant place full of passionate readers and emerging writers. Most of the stories on Wattpad are geared toward young women and tend toward YA, Romance, Sci-Fi, and Fantasy, although other genres have devoted followings as well. The website is free to use, for both writers and readers. 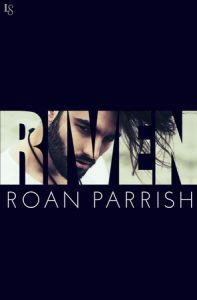 Some Wattpad authors have even transitioned their Wattpad stories into traditionally published novels, or turned into TV shows or movies. Others have worked with companies to create branded content on the site. Huge successes like this may be outliers, but even if Wattpad doesn’t turn into a star-making vehicle for you, it is a place to grow as a writer, and to connect with an audience that is invested in your voice. Because Wattpad writers publish their stories serially, you have some flexibility to play around with your style. If you realize after a few chapters that the way you’ve been formatting dialogues is clunky, shift gears. If you intended your story to end with the heroine falling for her shy best friend, but realize that the femme fatale is a better fit for the story arc, you can reshape the plot as you write. Wattpad lets you change direction without having to rewrite your whole story. But as you experiment, don’t forget about the reader! 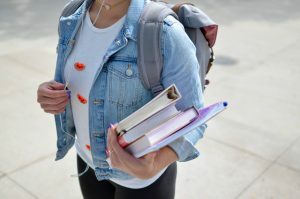 If a reader is clicking through several chapters at a time, they will likely be frustrated if you are making huge structural changes, like switching from third person to first person or turning your dystopian YA story into a sweet teen romance. If you do decide that your story needs a dramatic change, try starting a new one entirely. Be sure to check out Wattpad’s Writer’s Portal, for both inspiration and practical advice. 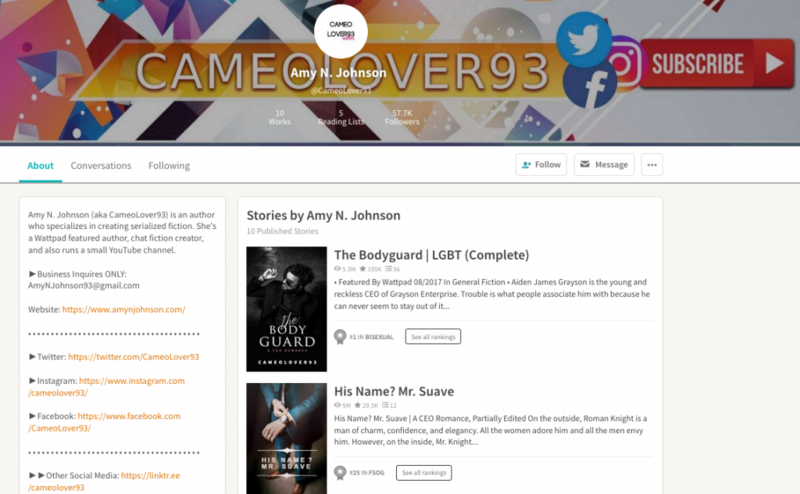 One of Wattpad’s most exciting social features is the line by line commenting. Readers leave comments on Wattpad stories, and can even comment on a particular sentence, showing precisely where they are having an intense reaction. You can see what readers are loving and what is drawing them in. You can also learn if your writing is registering with readers in a way that you don’t intend. With Wattpad’s huge global community, you can find kindred spirits, both as readers and fellow writers. Joining message boards, called Clubs, can help you become more involved in the Wattpad community. Industry Insider is geared specifically towards authors, and full of threads about the nuts and bolts of the publishing industry (from copyright to cover art) and general community encouragement. You can also join communities of readers who are reading stories similar to the ones you write, or the ones you like to read. See what readers are saying, and jump in on the conversation! You can also engage with readers and other writers on profile pages. All member profiles, both writers and authors, include a Conversation section for members to chat with each other. Get to know writers whose work you admire by commenting and striking up a conversation. And when readers comment on your profile, make sure to respond! It’s a great way to cultivate a dedicated community of readers. Check out more tips and strategies for independent authors here, and be sure to subscribe to NetGalley Insights so that you don’t miss a post! Pre-Publication Tips for Authors: Selling Your Book to Bookstores, and Beyond! Getting your book sold into a bookstore can be one of the most daunting parts about being an independent author, but also potentially the most gratifying. Seeing your book in a brick-and-mortar store, next to a curated inventory of other books is an accomplishment for any author. 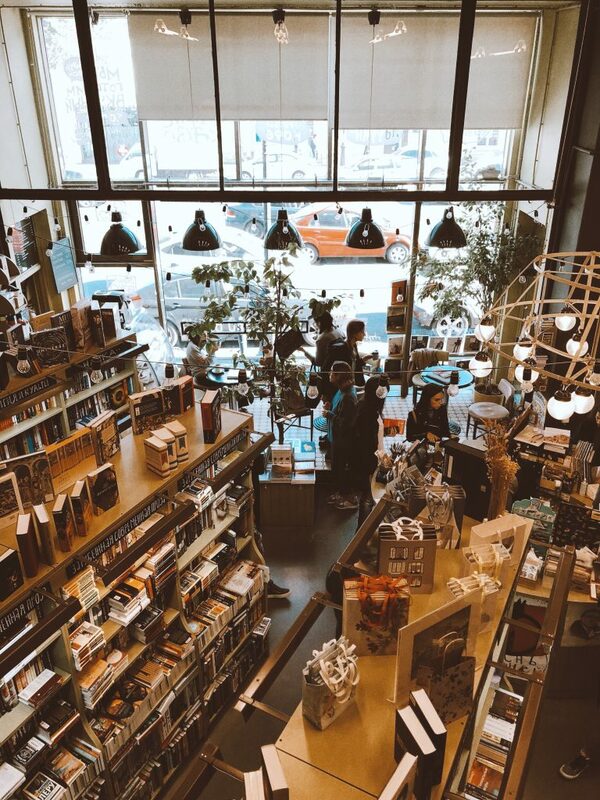 Booksellers are pitched thousands of titles per year, so the competition to get your book carried by a store can be fierce. But, with some forethought, you can set yourself up to meet this challenge head-on. Make sure to schedule an appointment with a book buyer rather than showing up to a bookstore unannounced, with copies in hand. Booksellers will appreciate your professionalism and the respect for their time. Plus, it gives you both an opportunity to prepare. These meetings tend to be short, so prepare a succinct pitch for your title. Give a quick introduction to your book (no need to give a full synopsis, just enough to pique their interest), and three good reasons why your title is a good fit for their bookstore and clientele. Let the bookseller know what kinds of promotions you are doing, either in your local area or online. If you have reviews or feedback, be sure to leverage that as an indicator of enthusiasm for your work. Hopefully, the bookseller will be impressed and take a few copies of your title to sell in their shop. But, if not, gracefully accept their decision. You’ll want to leave a positive impression on them so that you can hopefully build a strong working relationship in the future. In addition to selling your title to bookstores, consider other places who might be interested in buying some copies of your book. Local museums, libraries, archives, and record stores are great places to start. Be creative! BookTube is the segment of the YouTube community dedicated to reading and reviewing books. 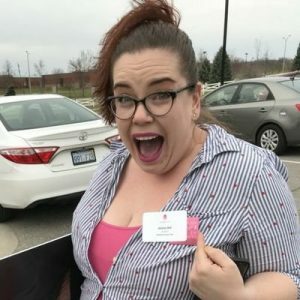 Like any other community on YouTube (like gamers or beauty bloggers), BookTube has its own celebrities, norms, and unique quirks. The bulk of BookTubers read primarily YA novels, although not exclusively. BookTubers are enthusiastic, and tend to be quite high-energy. According to YouTube, the BookTube community has over 200 million views of videos, and engagement is growing. Comparing July 2017 to 2018, engagement with BookTube videos is up 40%. This demonstrates both the reach of BookTube, and its effectiveness. Because of the intimate nature of these videos, reviews feel like recommendations from a friend rather than from an impersonal cultural gatekeeper. Who are BookTubers and their audience? Most BookTubers are millennials, and, like the rest of the trade fiction and YA market, skew female. The BookTube audience comprises primarily millennial and teen book enthusiasts. Marketing teams at children’s or YA publishers and imprints work with BookTubers to gain access to an audience of enthusiastic young readers who are already active on YouTube, as opposed to other media outlets, or even other social media platforms (i.e. Facebook or Twitter). What is a BookTube video? Book Haul: The BookTuber will go through the pile of books that they recently received, or purchased. It’s a roundup of what titles they are most excited to read. Book Tag: Book Tag videos are centered around a specific theme or challenge, for example “Out of My Comfort Zone.” A BookTuber will respond to all questions in the tag, and then tag other BookTubers to participate as well to keep the conversation going. 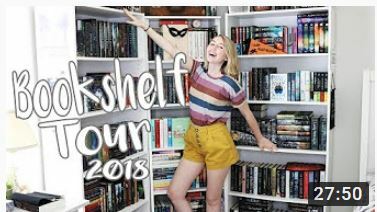 Bookshelf Tour: BookTubers show their own collections of books. These videos show how a BookTuber organizes their books; by color, genre, To Be Read, and more. Readathon: Readathons are interactive reading marathons hosted by one or more BookTubers. Often they have special challenges and rules, and integrations with other platforms, like Goodreads and Twitter. These readathons take place over set period of time The BookTubeAThon is an annual readathon hosted by multiple BookTubers. Reviews: BookTubers give their impressions of a book, including a summary. Similar to any other kind of book review. 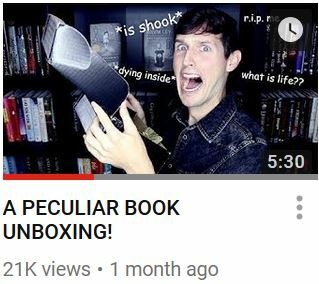 Unboxing: A popular style of YouTube video even outside of the BookTube community. BookTubers will open boxes of books, often sent to them either by a publisher or by a book subscription service. Wrap Up: Wrap up videos are recaps of books that BookTubers have read during a given set of time. Often, these will be annual. They can function as a BookTuber’s “Best of” list. How do I find the most relevant BookTubers for my titles? Research BookTubers the same way that you can find relevant influencers on other platforms. Searching hashtags like #BookTube or #BookReview will give you a good overview of the community, but might be too broad for truly targeted searching. If you are publishing a YA dystopian title with a Latinx protagonist, try searching for BookTubers who have engaged with similar titles, or searching #YADystopia or #OwnVoices. Then, see who has high counts of followers and strong engagement from their audience in the comments section. Once you have identified a few key BookTubers for your needs, consider looking at who they have listed under “My Favs” on their profile. Or, keep an eye on who BookTubers are tagging in their Tag videos. 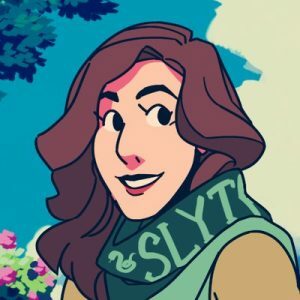 Learn who BookTubers are following and communicating with to gain a better grasp of the community landscape. How can I engage with BookTubers to reach their audience? Many major book publishers are already working with BookTubers to meet an enthusiastic market of young readers where they already are, with popular BookTubers receiving many requests from publishers and authors. WhittyNovels offered some tips about how publishers and authors can increase their chances of having their titles reviewed by a BookTuber. Publishers should send print or digital galleys to BookTubers as they would to any other influencer (most BookTubers post contact information in the About section of their page) but the video format does offer some unique opportunities that publishers can take advantage of to drive creative strategic marketing decisions. Publishers (or retailers) can also work with BookTubers to sponsor unique content. For example, Barnes and Noble sponsored a book haul with Linh Truong. Publishers can send galleys in special packaging to encourage BookTubers to feature their titles in unboxing videos, as Simon & Schuster did for the release of Lady Midnight. Or, work with BookTubers directly to create an unboxing video, as Penguin Teen did with JesseTheReader for A Map of Days (see right). Consider asking BookTubers to feature your titles for a readathon to boost awareness and enthusiasm, or work with multiple BookTubers to create a themed Tag video around your upcoming title. BookTubers grow their audience by consistently providing entertaining and creative content. Offer something new and exciting that will keep their fans engaged, and build a mutually beneficial partnership. Stay tuned for more BookTube coverage! Schuyler is a small town of about 6,300 in an area of Nebraska known for farming, ranching, and packing plants. Within the last fifteen years, our community has changed from mostly Caucasian rural folks to a vibrant mix of Hispanic immigrants, African and Middle Eastern refugees, and its original inhabitants. This rather sudden change has led to a community struggling to figure out who they are together. Since I work in the high school with around 650 of the area’s youth, my patrons range in age from 14-21 and speak a variety of languages. Our students are coming of age and finding their identity in a new home, in a new country, and within a community that is finding its own identity. It’s a very exciting time to serve them! I’m not sure how unique it is, but we have a Spanish section with both nonfiction and fiction materials. We also mark High Interest Low Ability books with a small black dot and shelve them with the rest of the library’s collection so students who struggle with language, ability, or desire to read can identify books that may serve their needs without being singled out. After a student survey, I spent the end of the school year reorganizing our fiction section by genre. Over 96% of our students voted for the change! Quick reads, no matter the level, are popular in my school. High school students are spread thin with homework, activities, and jobs. They want quality material without a bunch of extra. These are books we need more of. Often, our students like longer books but simply don’t have the time to finish them. 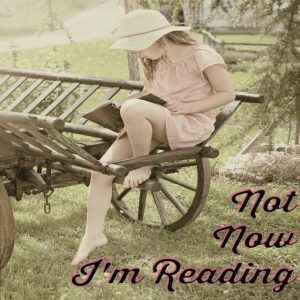 Realistic fiction (gritty or romance), science fiction and fantasy, and mystery are the most commonly read genres right now, but every book has its reader. I’m completely open to recommendations! Although our district provides an iPad for school use to every teacher and student at the high school, our eBook check out is not very high. Students have mentioned that they prefer physical books. Reading on paper helps them retain the information and shows their teachers that they aren’t messing around when they should be working. 98% of my circulation is physical books. NetGalley is one of the primary resources. I also follow Epic Reads and many publishers on my library’s Twitter, Facebook, and Instagram. Amazon’s Coming Soon section has saved me a few times from missing sequels or new releases from authors my patrons love. I head straight for the Teens and YA section, sort by Publishing date, and start looking. 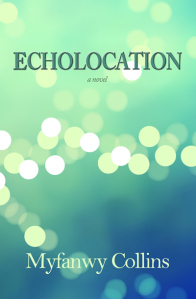 If I see books my patrons will like (for example, from an established author), I screenshot the cover and release date and drop it into a folder on my desktop to remind myself to order the book later. If it’s an author I haven’t heard of or an author I love in particular, I will request books that interest me. About 90% of the time, we wind up purchasing those for our library. We love supporting independent authors that we have found through NetGalley, too! What catches your eye when you are on the hunt for new books? Cover? Title? Description? I am a cover junkie. My students are, too. (Someone please update covers for classics!) 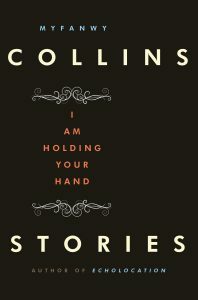 It’s very difficult for me to circulate a book without an appealing, genre-appropriate cover. Descriptions are important too. Most patrons look on the back of the book for descriptions, not the inside flap. I see a lot of books put down if the description isn’t on the back. 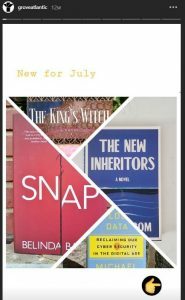 If you’re looking for ways to engage librarians like Mandy on NetGalley, remember to auto-approve all members of the ALA, and include your titles in the NetGalley newsletter: Librarian Edition. And, be sure your cover art is eye-catching! Check out our Cover Love winners for inspiration. You can nominate your own title for Cover Love here. The promotion is free if your title is selected. And, check out the rest of our Ask a Librarian series! How have you successfully engaged librarians? Email insights@netgalley.com with your story. We look forward to featuring your successes on future Insights posts. The conference opened with Firebrand President, Doug Lessing, showing SpaceX’s video of failed attempts to land orbital rocket boosters. Entertaining as it was to watch a bunch of technical fails and explosions, the message was clear; organizations that aren’t afraid to fail will ultimately be the ones to innovate. Experimenting, and learning from those experiments, will help us think ourselves into the future. The publishing landscape is always shifting, and most publishers are still trying to catch up to new audiences, new platforms, and new technologies. It’s only by being open to experimentation (which necessitates failures), that we will be able to meet these new challenges. It’s no news to the publishing industry that we need to embrace data more fully as a decision-making tool. But, sometimes it’s hard to know exactly where to get started and how to implement it into our already busy schedules. Fran Toolan, Firebrand’s Chief Igniter, introduced the DIKW framework for thinking about how to integrate data into decision-making. Conference attendees practiced the DIKW process together by examining lists of most popular books from multiple sources during a group session. By looking at different data sets – evaluating what information we can glean from it, what information is missing, and what other data points we might want to correlate – we were learning about how to structure data collection, analysis, and implementation. Michele Cobb, Executive Director of the Audio Publishers Association, brought up a surprising fact during her talk on growth in the audiobook market. She said that despite the popularity of digital media consumption and the rise of podcasting, audiobooks on CD don’t appear to be going anywhere. As new tech emerges, such as smartphones with streaming capabilities, old tech does not just go gentle into that good night. In the case of CDs and audiobooks, they are still useful for libraries, car travelers, parts of the world with spotty Internet infrastructure, and more. Additionally, self-published audiobooks can be printed on demand on CD, allowing for more audiobooks to come from more sources. It’s a welcome reminder that the newest and shiniest tool or technology doesn’t necessarily mean the death knell of traditional tools and tech. Ideally, it just means more choice and more access. Publishers are all feeling the effects of a crowded industry. There seem to be infinite books, authors, platforms, publishers, imprints, and content delivery systems, all hoping to get the attention of what can feel like a dwindling market. But, as BISG Executive Director Brian O’Leary reminded us during his keynote, it’s by working collaboratively that we can make real improvements to the industry that will set us up for collective success in the future. By developing shared standards and workflow, we can ensure a more streamlined process throughout the life cycle of book publishing. Doug Lessing’s talk on blockchain brought this message home. He described one potential use of blockchain technology: developing an industry standard, secure platform for all aspects of the supply chain. While this would certainly require a lot of cross-industry conversation and planning, a secure standard platform for all supply chain transactions would streamline the day to day operations across the industry. And it’s only through that planning that all industry players could reap the benefits. The Firebrand Community Conference is an opportunity for us to come together with our clients to think about how to best prepare for the future of publishing. At both Firebrand and NetGalley, client input, like the conversations we have at the conference, is a leading factor in how our services evolve. We value this opportunity to connect with our clients to better learn what their needs are, and how we can continue to help them reach their goals in a changing industry. We’ll see you all at the next Community Conference! Personal connection is a huge part of any successful marketing campaign. To build a personal connection between author and reader, it’s important for authors to meet face to face with their audience and to use live events as a way to grow that audience. We know that it can be daunting, especially for authors who are introverted or just starting out, but it can make all the difference. Look for reading groups, book clubs, literary open mics, and library events in your local area. See if you can connect with these groups by giving a reading or participating in a Q&A. And be sure to think broadly–if you write historical fiction, look for a historical society that might be interested in your research methods. If you write political thrillers, pair up with a film group to discuss some classic films in the genre and how they influenced your work. 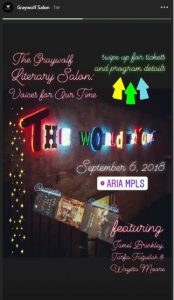 Spend some time researching what kinds of special interest groups and literary clubs exist in your city or town, and connect with them! You can also look for other authors who are publishing a book around the same time you are, or who are also just starting out. Think about how you can support each other, perhaps by joining forces for a combined book tour. Use connections you have to authors in other cities and towns, perhaps authors you are friendly with on social media, to help organize a small book tour. Ask where you should read, and see if your far-flung author friends would be interested in interviewing you at their local bookstore. And, of course, offer to return the favor! Finding ways to engage with new audiences, both in your local community and beyond, is crucial to building a dedicated and connected community of readers. 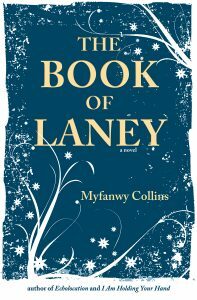 Today we’re talking to Myfanwy Collins. Over the past 25 years, Myfanwy Collins has written and published three books, numerous freelance articles, advertorial, web content, newsletters, blog posts, book reviews, short fiction, and essays. She has also worked as a ghost writer, editor, and creative writing teacher to continuing education students. And, Myfanwy just happens to be the office manager at Firebrand Technologies, NetGalley’s parent company. I’ve always been goal oriented so I truly like to make goals and stick to them. I have different goals for large projects than for small ones. For instance, I will say to myself that I’m going to finish a draft of this manuscript by x date, which is usually something that corresponds with my Astrologyzone monthly horoscope. Not even joking. One time I told myself I could not watch the latest season of Game of Thrones until I finished my manuscript. If it’s a quick project, I will tell myself I can’t have a glass of wine or piece of chocolate or whatever until I finish. Basically, my jam is a mixture of astrology and denial and treats. I guess I’m sort of like my dog that way. I got divorced two years ago which sort of blew my routines to smithereens. I’m just now beginning to reclaim and rework them. With that said, I’ve never been a sit at my desk every day and write person. I will do that if I have a project I’m working on and excited about and then I tend to blast through the first draft pretty quickly. After the first draft, I put the manuscript away for a period of time (weeks or sometimes months) and then come back and revise and then put away again and revise until I feel it is ready for other readers. At that point, I pull in my trusted readers and gather their feedback. My trusted readers are my friends who write. They don’t all write the same types of things, but they all know and understand my work and what I am trying to achieve and aren’t afraid to ask me hard questions or tell me when something’s off. Also, they know how I like to receive feedback. Once their feedback is incorporated and I feel like I have done all I can do, I send the manuscript to my agent and wait for her feedback. After her feedback, I revise and return it to her and repeat this until the manuscript is as good as we think it can be. As for shorter work, one new routine I am really enjoying is that my fiance Evan (also a writer!) and I taking part in #submissionsunday on Twitter each week. We submit at least one piece of work to a venue each Sunday. Doing this is actually making me eager to work on new pieces. How did you develop your writing routines? I have been writing professionally for nearly 30 years at this point and so my routines have been established over time as I worked. When I was younger, I was more impatient to get work out there when it really wasn’t ready to be seen. I was essentially giving all editors an opportunity to say no to my work. After several years of that I began to learn about the importance of taking my time during revision. I learned this also through years of being a reader for various literary journals. When you read submissions you tend to read a lot of work that could have used more time and more revision. Reading submissions is something I cannot recommend highly enough to writers. It really does help you understand your own shortcomings as a writer. Ask journals if they need help. You can also look on their websites and see if they have any openings listed. Another place to look is on Twitter. If you follow a lot of writers and journals (as I do) you will often see calls for readers or interns. Finally, I think Submittable probably posts some openings. Pretty much all reader positions are unpaid (mine were) and they do require quite a bit of work but I promise you they pay off is that your own writing will improve. What routines have you tried that didn’t work for you? Why didn’t they work? I’ve tried to use writing prompts in the past in order to get myself writing more but they generally don’t work for me because I’m a bit of a rebel. I read (I do this all the time anyway but I do it more so when stuck). I force myself to sit at the page and I set a timer for myself for 20 or 30 minutes and tell myself I must write during that time. It helps me get past the anxiety of the blank page. This is something I recommend to my writing students as well and it’s been very helpful to them. I go back to Julia Cameron’s The Artist’s Way and work the program. The book is a 12-step program for creative people and it is so immensely helpful. In fact, I think I’m past due for another session. Describe the balance between having a full-time job, family, and writing. How do you manage both? This is the hardest balance. It was hard when I was a part-time working married mother and It’s hard now as a full-time working divorced mother. My child and family come first in all things and so writing becomes secondary when I am momming. Since I am divorced, there are times when my son is with his dad and so I could be writing but am often sad and missing my kid which gets in the way of writing. But the good news is that I have a really great therapist! I’m starting to listen to her about using my time more wisely instead of allowing myself to be mired in grief. How do you think about finding a job that supports you financially and supports your writing? Do you need something that leaves room in your mind for creative work, something that keeps you in the habit of deep thinking and frequent writing, something else altogether? Financial support is key to me and so that is always my first priority. With that said, it is wonderful to have a part of my current job that feeds me creatively. I think if my job were writing all day, I might not pay any attention to my own creative writing. So right now I have a job that is one part business oriented, one part process oriented, and one part creative. It’s a really nice mix. For more perspectives on creating a successful schedule as a writer, check out our interview with Stuart Evers! Most publishers already know that they need to be on Instagram. It is a thriving platform for businesses. There are 1 billion active accounts on the site, per month. And of those accounts, 80% follow at least one business. After you’ve mastered the basics of the perfectly arranged photo of your book surrounded by aesthetically pleasing and thematically appropriate props, #bookfacefriday, and engaging your followers by asking questions for them to answer in the comments, it’s time to use some of Instagram’s other features to engage your audience and build enthusiasm for your list and for your brand as a whole. Instagram Stories let users post disappearing slideshows of both photos and videos. Stories are visible on a profile for only 24 hours, unless the user decides to pin them to their profile as a “highlight,” in which case they will be available indefinitely. In a story, a user can create a temporary post, ask a question, create a poll, and more. Many brands and companies are already using Instagram Stories as part of their overall strategy. According to Instagram, 50% of businesses on the site create a story within a typical month. And members are engaging with these stories. Over 400 million members use stories every day and 1/3 of the most viewed stories on Instagram are from businesses. Take a look at some creative ways publishers (and a library!) are using Instagram stories to share updates, highlight their offerings, and grow their brand. Dutton took advantage of some nasty winter weather to post a timely quiz as a story, featuring their titles. They asked their audience what kind of survivalist personality they identified as, and showed stacks of books with the different character archetypes represented. Quick yes or no quizzes are low-impact ways for your followers to engage with you. Ask questions, and post the results! Posting responses signals that your audience is engaged. The audience will instantly see the results of the poll once they have responded. You can see who has responded and how by swiping up on your story post. 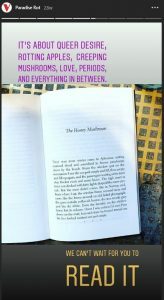 Penguin Random House uses stories to invite their audience to receive cus tomized book recommendations from their list. Followers who click for recommendations are brought to Penguin Random House’s website and invited to fill out a brief profile with genre preferences. They are given recommendations by genre and added to Penguin Random House’s newsletters. It’s a quick way for PRH to move their audience from Instagram to their website and to put them on their mailing lists for relevant releases, all the while offering something of interest to their followers. Verso Books teases new releases, like Jenny Hval’s forthcoming Paradise Rot, in their stories. 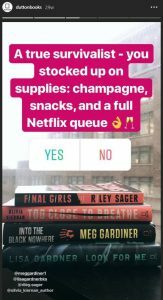 They give followers a little taste within the Instagram story itself, and also a link to read a fuller excerpt on Verso’s website. Like Penguin Random House, they are using stories to drive traffic to their website by providing interesting content. You can also consider taking a page out of New York Public Library’s book and post whole texts (or maybe just a chapter). Consider using this as a special time-based promotion. For example, read the first few chapters of an upcoming title for one week only. Grove Atlantic uses their stories to showcase their most current titles. Followers can click through their highlighted stories to see what titles are currently or recently pubbed. Effectively, it’s a catalog on Instagram, full of well-composed photos, reveal videos, and blurbs. For your audience who might not spend the time to go to your website to look at your most current releases, Instagram stories is a great way to keep them informed about your most important titles. One of our favorite publisher Instagram accounts, Graywolf Press, has a visually pleasing grid full of bright colors and clean lines. They use their highlighted stories to keep their audience aware of upcoming events while maintaining their Instagram’s overall aesthetic. How have you used Instagram stories? Let us know in the comments. We hope to feature your success stories in future posts.